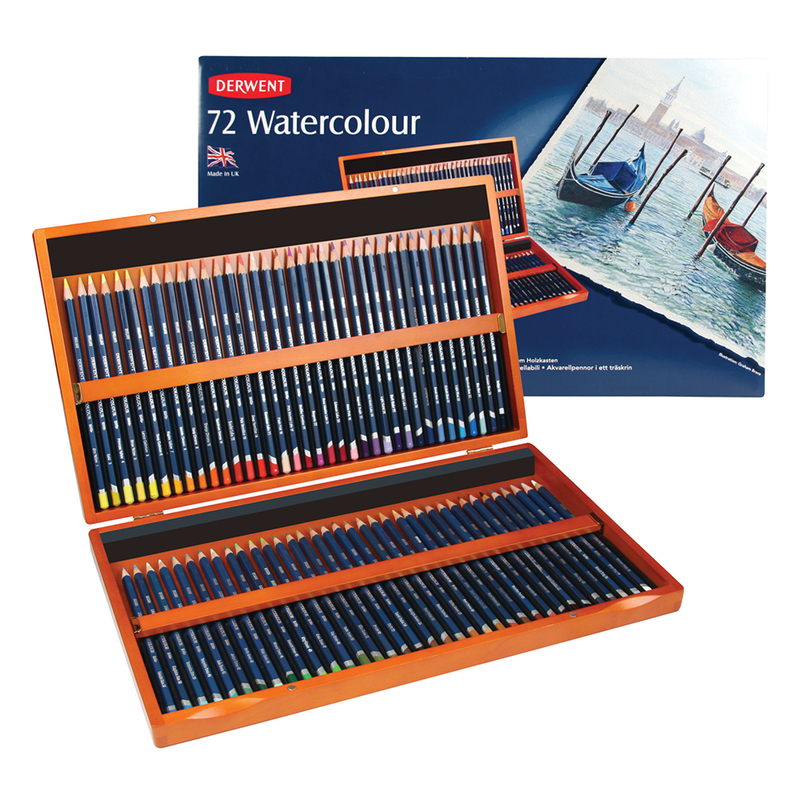 The control of a pencil and the beauty of watercolour. Mix with water to create interesting colour flows and stunning watercolour effects. 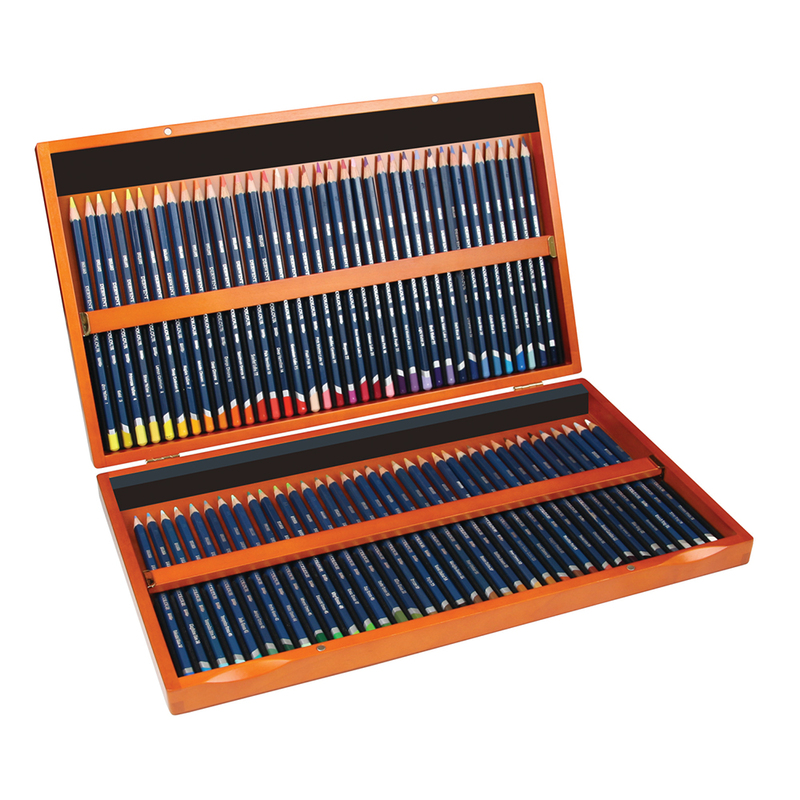 Contains the complete range of 72 Watercolour Pencils presented in a beautiful wooden box. 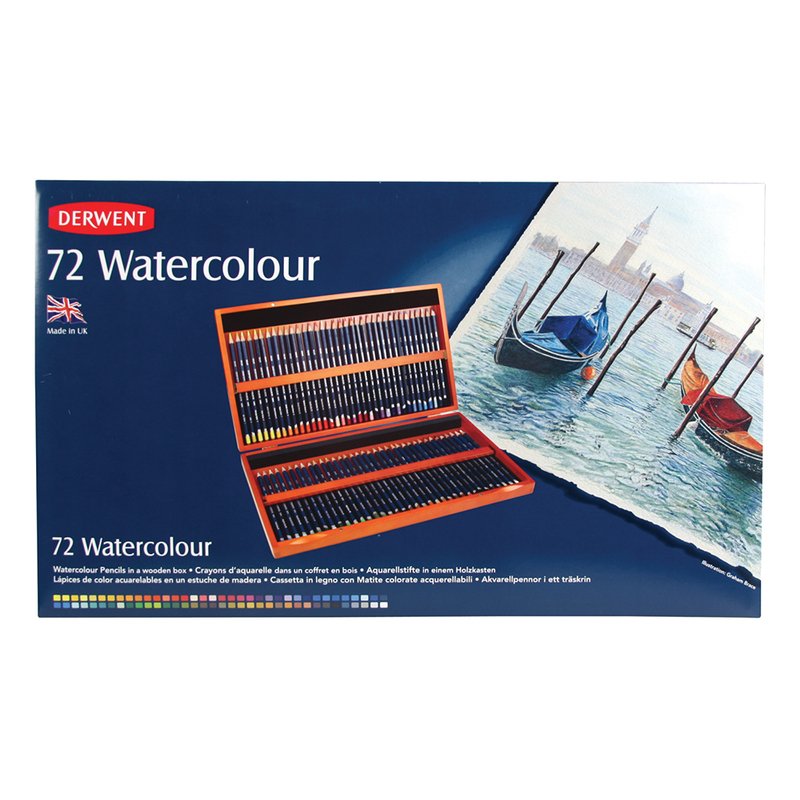 Full range of 72 colours.